Advanced is using Smore newsletters to spread the word online. Why has it been so cold out? Is there a reason for all these super cold days? Does it even have a name? Well I can answer one of your questions. 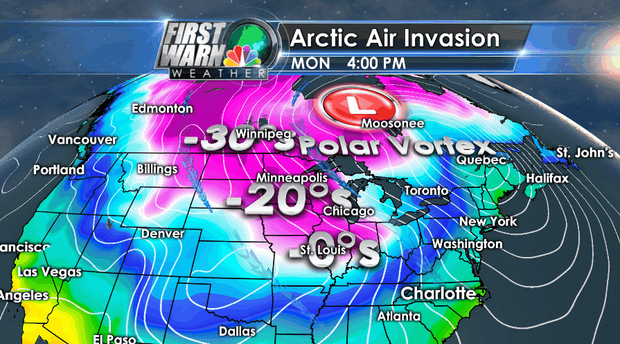 It DOES have a name, the Polar Vortex. Now why is it so cold?! That's easy. The reason it has been so cold is because we have a jet stream going right over us. The jet stream brings precipitation. With that Jet stream comes either a cold front or a warm front. Can you guess what we have had? A cold front is right. The jet stream also brings wind. Wind is what makes it feel so cold. So mix it all together and you get a Polar Vortex. Do we have any warm days coming in the near future? Well the Weather Channel predicts some warm days coming. But I guess we will have to see about their prediction. What are your thoughts? Post in the comments below! I guess it's a good thing that we don't have cold days like this every day! Hopefully no more snow days!